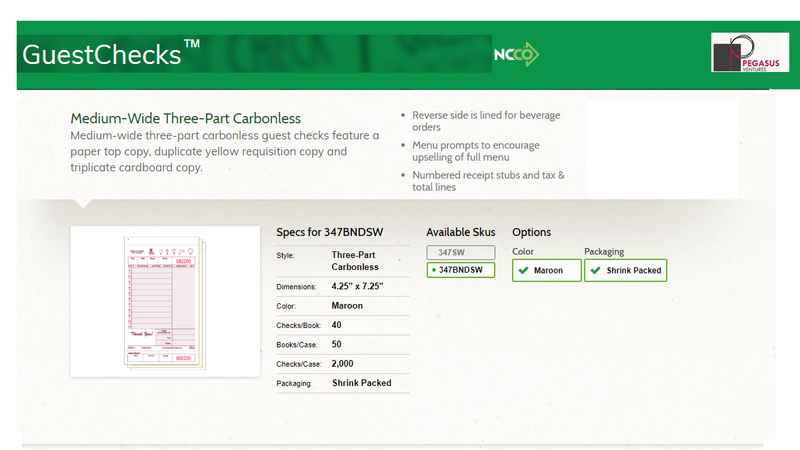 Printed by National Checking Company and sold by Pegasus Ventures the 347BNDSW medium wide 11 line maroon color three-part carbonless restaurant guest checks feature a paper top copy, duplicate yellow requisition copy and triplicate cardboard copy with a reverse side lined for beverage orders. 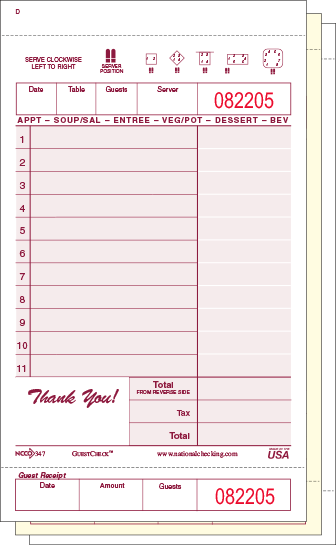 Menu prompts to encourage upselling of full menu along with a numbered receipt stubs and tax & total lines. 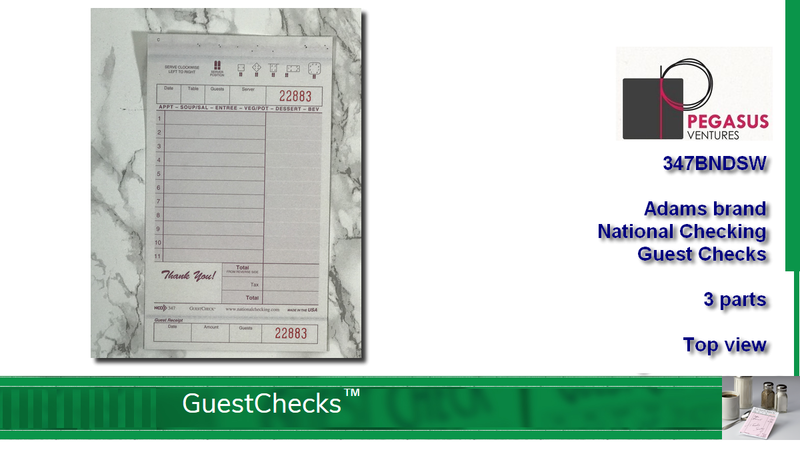 The 347BNDSW Adams brand guest checks come shrink wrap packed in cases with 2,000 sets of guest checks in each case. The 347BNDSW maroon guest checks come in books with 40 sets of 3 part guest checks in each book and a total of 50 books in each case. 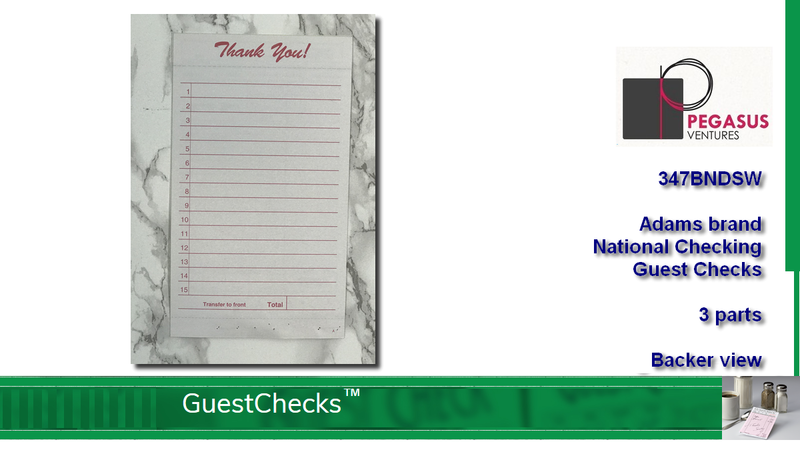 Need a presenter for our Adams brand 347BNDSW restaurant guest checks? 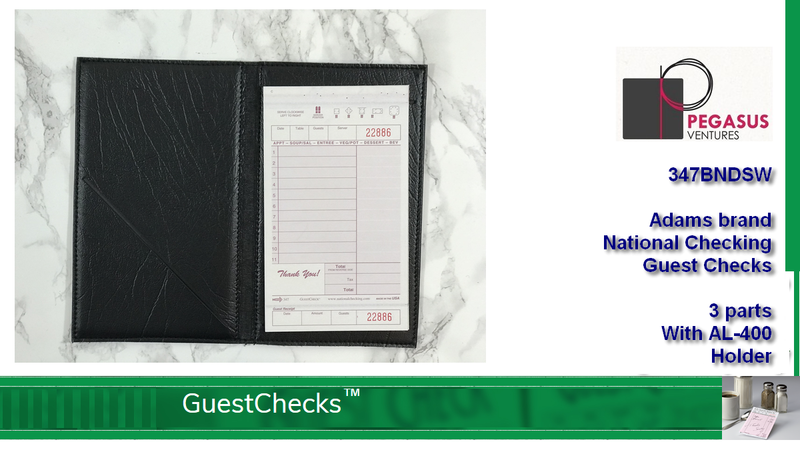 The AL-400 GuestCheck™ holder also serves as a great tool for wait staff to take orders. 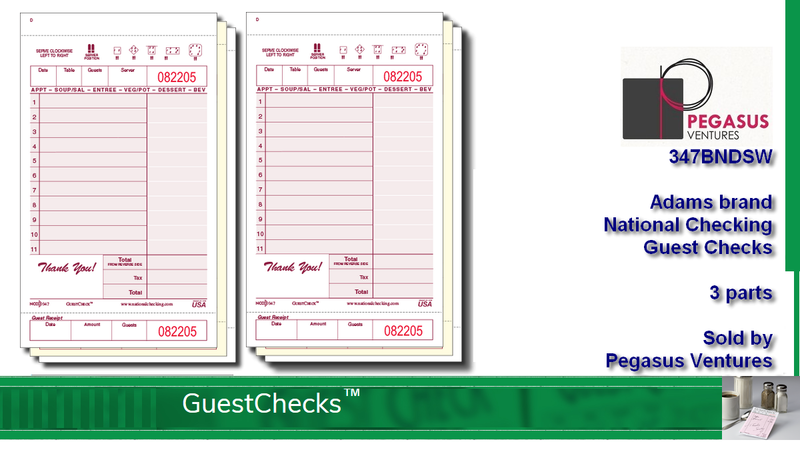 The entire line of restaurant guest checks sold by Pegasus Ventures ship the same business day when orders are received by noon Eastern. All other orders ship the next business day. 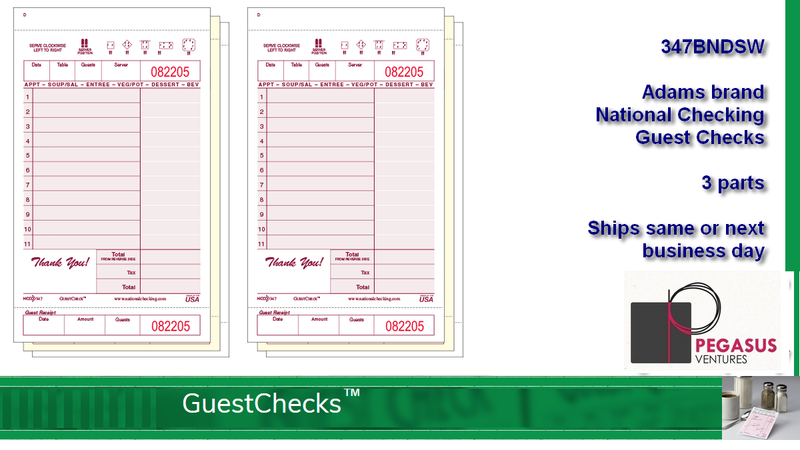 The 347BNDSW Adams brand maroon guest checks printed by National Checking Company are always in stock and ready to ship to your restaurant, catering business, institutional kitchen and, of course, your home.